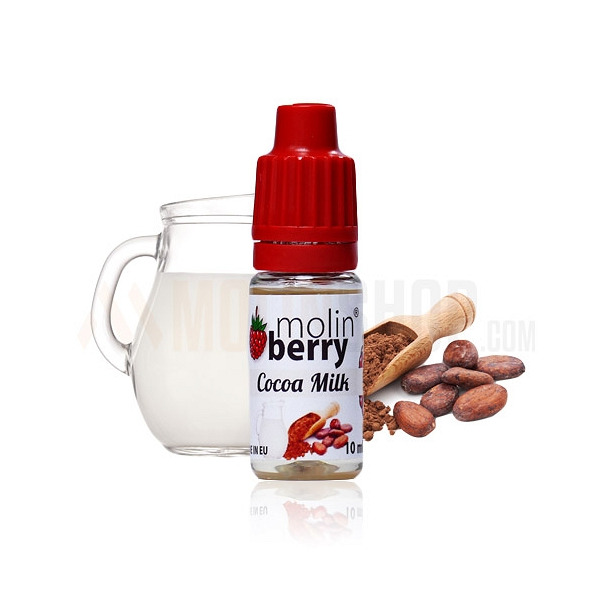 Cocoa Milk 10ml. One table spoon of freshly made COCOA powder. One glass of Creamy Whipped Milk. Heat up & finish off by stirring COCOA MILK in the BIG MUG.Simple way for pleasure. Our suggestion: add hazelnuts, marshmallows & raspberry. Recommend dosage 7-8%.